GPS is an abbreviation for the term Global Positioning System. This is an electronic location device which shows accurate geographical location and is used all over the earth . This system was originally designed by US military technicians to use in military purposes, but today the public also has access to this system. The GPS collects information from 24 satellites which are orbiting approximately 20.000 km above the earth. 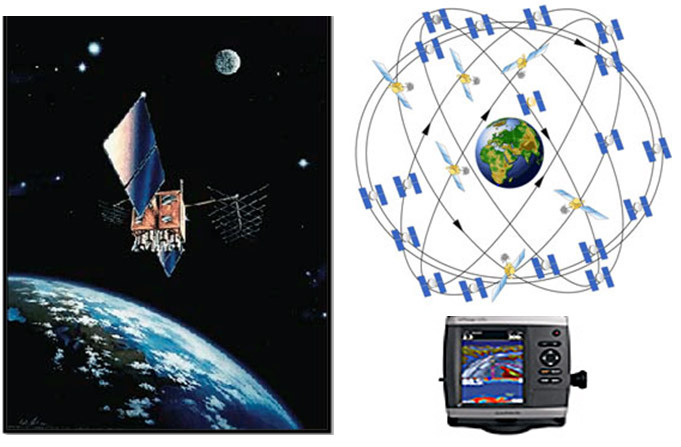 GPS receiver always receives information from six satellites at a time, independent where the device is located on the earth. Information from three satellites is sufficient for the computer of the GPS device to calculate accurate geographical location. The device needs information from four satellites to calculate height above sea level in addition to latitude and longitude. GPS devices calculate locations with about one second intervals and their accuracy is up to 10-20 meters or even more. The GPS device is much used to determine location both on sea and on land. Such devices are in taxies, rental car rentals and Reykjavík’s buses. In addition, many individuals have GPS devices in their cars. It is possible to get maps of oceans, land and cities. The devices can receive a range of information which is sent to them from various control centres. The device can provide directions, whether it is on mountains, in the city or on the ocean.